For the first weekend in a long time, I find myself with a bit of time to sew. Our last few weekends have been jammed packed and I’m looking forward to a bit of downtime. 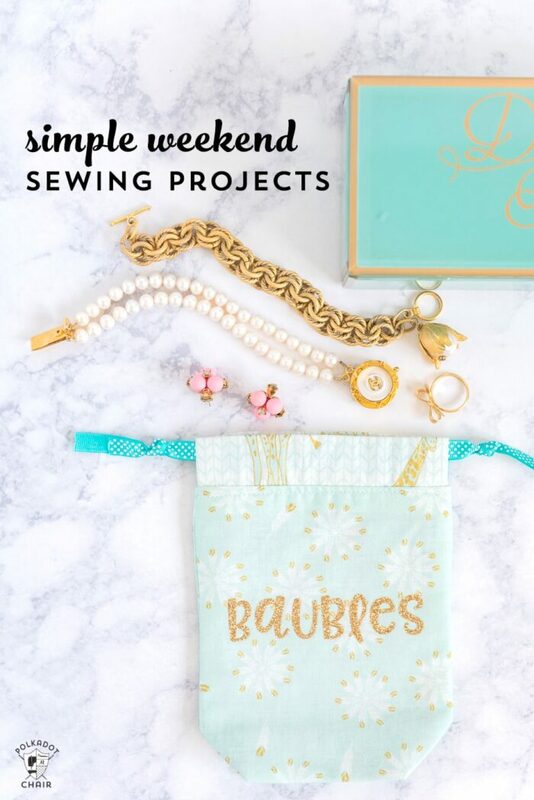 If you’re also finding yourself with a bit of weekend sewing time, and are looking for a quick and simple project to start, then one of these 5 Simple Weekend Sewing Projects may be just what you need! 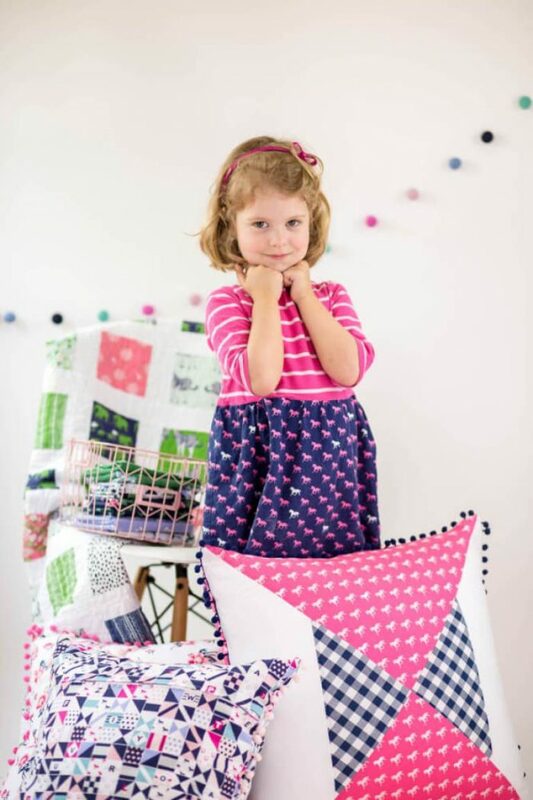 I love tackling a big sewing project, making a dress, a quilt or even a new tote bag. I love picking out the fabric, planning my project then chipping away at the project a little bit at a time, the same way you’d put together a puzzle. Sometimes, however, I just need a quick fix. A simple project that I can stitch up quickly to use a gift or just for a “hey I finished something” personal affirmation. 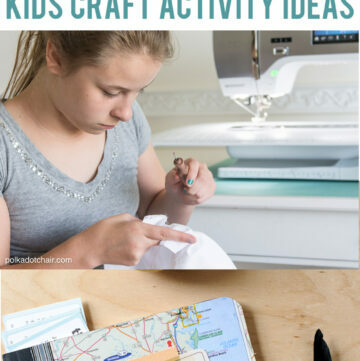 There are actually quite a few simple sewing projects on this site. You can click the PROJECT INDEX button above to see them all. 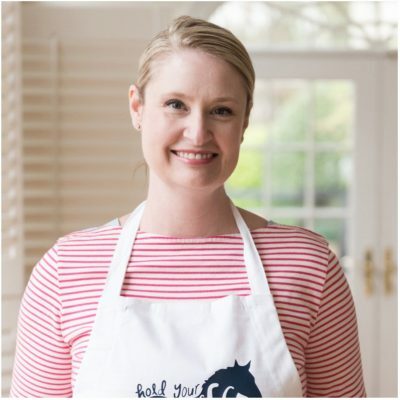 I thought today I’d share with you a few of my favorites from some other spots around the web! 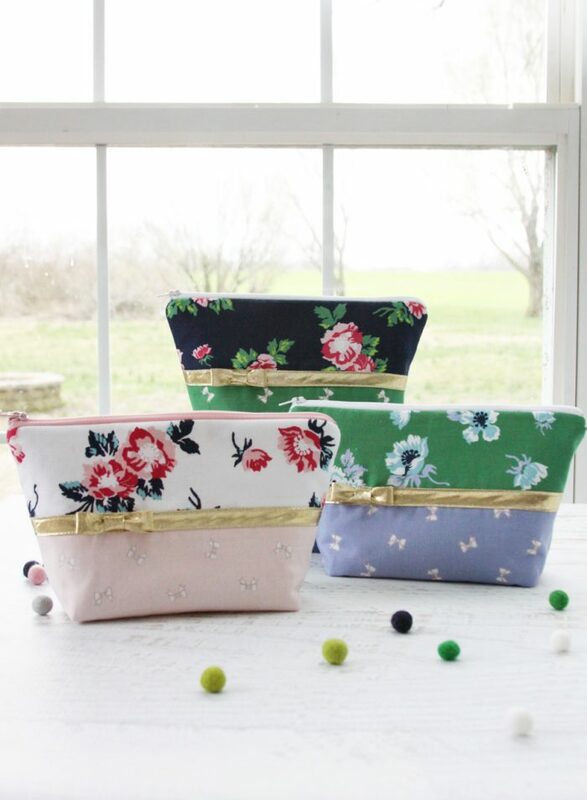 I love just about everything that Bev from Flamingo Toes makes, but I got REALLY excited when she posted this Floral and Bows Zip Pouch tutorial on her blog last month. Mostly because of THOSE GOLD BOWS on the bags! I die. 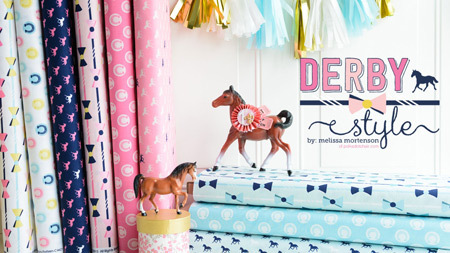 But also because she used my new Derby Day fabric line, and I admit that I “am” a bit biased cause I love that fabric *wink*. Modern Hourglass Quilted Pillow Pattern by Coral & Co.
Shelley from Coral and Co also stitched up a fun project with Derby Day Fabrics, a bunch of awesome throw pillows! Some of them are just simple pillows with pom pom trim, but she also stitched up a fun Modern Hourglass pillow. 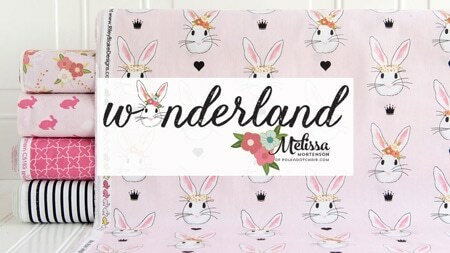 It’s BIG and would be perfect to use as a pillow sham on a bed or a floor pillow! I think Spring “might” finally be here. But I don’t want to say that and “jinx” it! 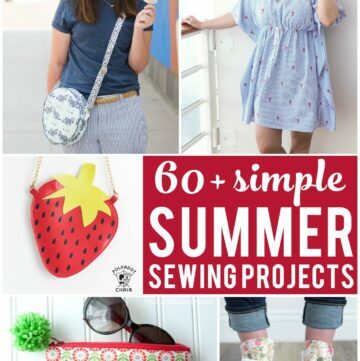 I’ve been looking for a few things to stitch up to add to my summer wardrobe (why does it seem like it’s easier to stitch up summer clothes than winter?). These wide-leg cropped pants caught my eye. They seem like great shorts alternative for summer. 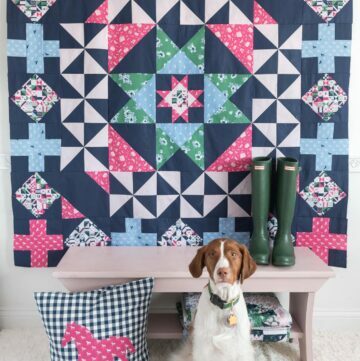 Before I started quilting I’d never believe that you can make a quilt in a weekend. But you can and I have several times. Most of the time because I’m on a deadline! 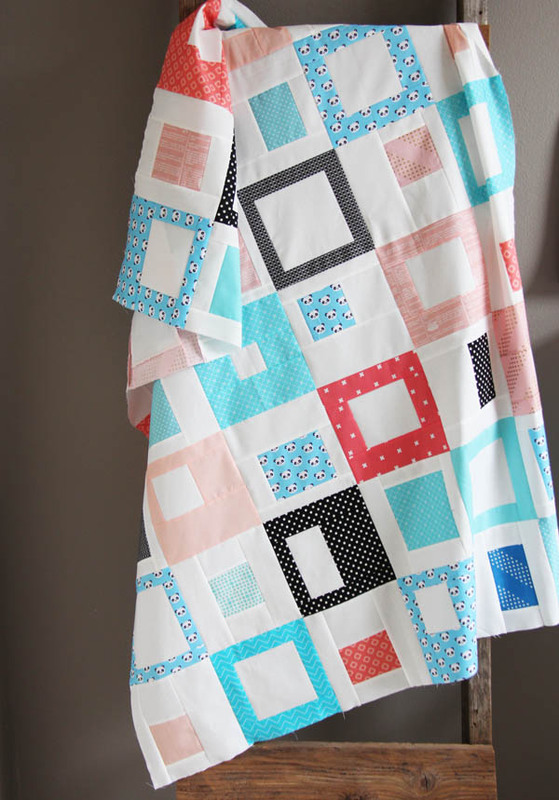 This “Cut and Stack” block tutorial from Alison is the perfect weekend quilting project! 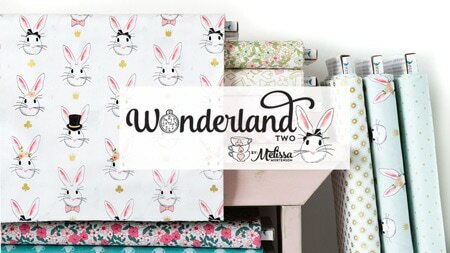 You can resize it as you need to so it would be a great pattern to use for a quick baby quilt! On our recent Disney Cruise, I took my large “to wash” drawstring bag to hold all my dirty laundry. My husband, who I swear pays little to no attention to the things I sew said: “hey where’d you get that?” I told him I made it, then he asked if I could make him one too- minus the glitter letters. 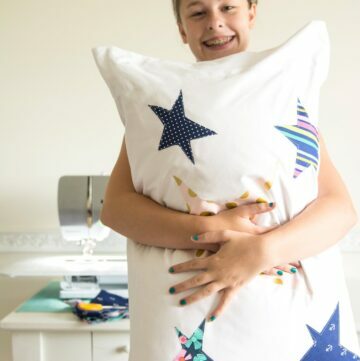 So I guess I’m making him a laundry bag – I told him he had to pick out the fabric though…. 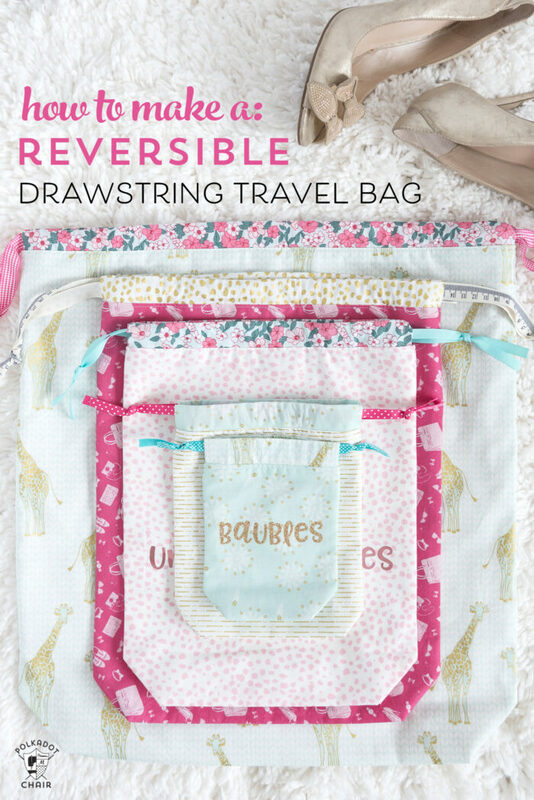 The tutorial includes measurements to make your bags in 5 different sizes. 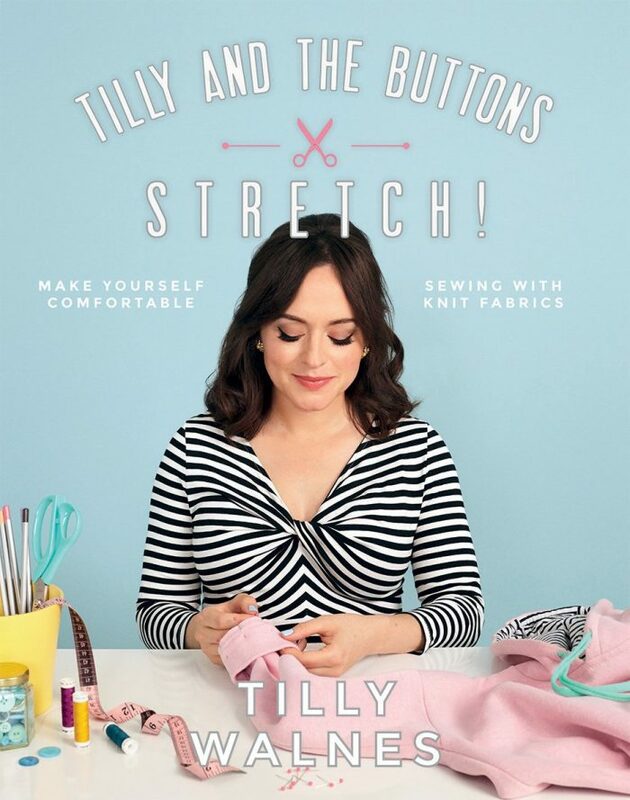 On another note: I ordered Stretch by Tilly Walnes a few weeks ago and can’t wait to dive in. 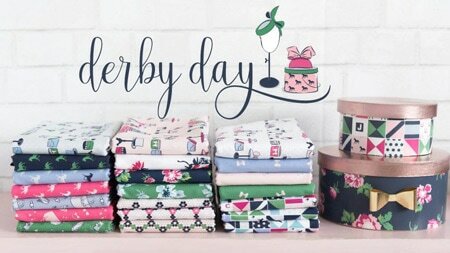 I just got the Derby Fabric Knits into my hands and can’t wait to start stitching up projects with knit fabrics! The baseball tee in this book is calling my name! I’ll be sure to let you know how it goes!